Our product range includes a wide range of printed design yoga mats, triangle design yoga mat, zig zag printed design yoga mat, printed design floral yoga mat and sun salutation yoga mat. Color Red, Blue, Orange, Green, Pink, Purple and etc. For the practice of yoga, you don’t need any equipment except Yoga Mats and for this requirement, you can rely on us. We, Gravolite are known as a leading manufacturer and supplier of Yoga Mats in India. The Yoga Mats that we offer you are designed and made by experienced yoga practitioners using premium quality raw materials to make your yoga practice more comfortable, unhindered and focused. Color Red, Blue, Green, Black, Orange, Purple and etc. 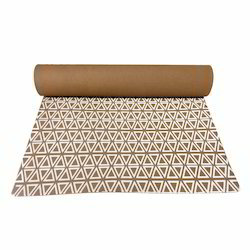 We (Somani Enterprises) make Special Triangle Printed Design Yoga Mat within most reasonable price for our customers which is made up of 100% virgin fresh material. As these Mat are freshly prepared therefore has initial manufacturing odor of rubber and chemicals which automatically disappears in 2 days once we keep the mat in open area. With variety of colors and sizes, these Mat also provide cushioning surface which is totally adequate to practice Yoga on daily basis. Easy to carry as it comes with a Yoga Cover Bag and Yoga Strap. 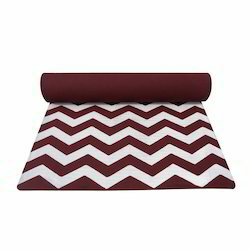 We (Somani Enterprises) make Special ZigZag Printed Design Yoga Mat within most reasonable price for our customers which is made up of 100% virgin fresh material. As these Mat are freshly prepared therefore has initial manufacturing odor of rubber and chemicals which automatically disappears in 2 days once we keep the mat in open area. With variety of colors and sizes, these Mat also provide cushioning surface which is totally adequate to practice Yoga on daily basis. Easy to carry as it comes with a Yoga Cover Bag and Yoga Strap. 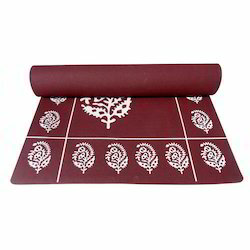 We (Somani Enterprises) make Floral Design Yoga Mat within most reasonable price for our customers which is made up of 100% virgin fresh material. As these Mat are freshly prepared therefore has initial manufacturing odor of rubber and chemicals which automatically disappears in 2 days once we keep the mat in open area. With variety of colors and sizes, these Mat also provide cushioning surface which is totally adequate to practice Yoga on daily basis. Easy to carry as it comes with a Yoga Cover Bag and Yoga Strap. We (Somani Enterprises) make Sun Salutation Design Yoga Mat within most reasonable price for our customers which is made up of 100% virgin fresh material. As these Mat are freshly prepared therefore has initial manufacturing odor of rubber and chemicals which automatically disappears in 2 days once we keep the mat in open area. With variety of colors and sizes, these Mat also provide cushioning surface which is totally adequate to practice Yoga on daily basis. Easy to carry as it comes with a Yoga Cover Bag and Yoga Strap.